EstateMax/OPS : On-site Estate Sales & Online Auctions 301-332-5585We Do the Dirty Work! You get to move on with those things you love and want and need to live with, and leave the rest behind. We deal with all the details. 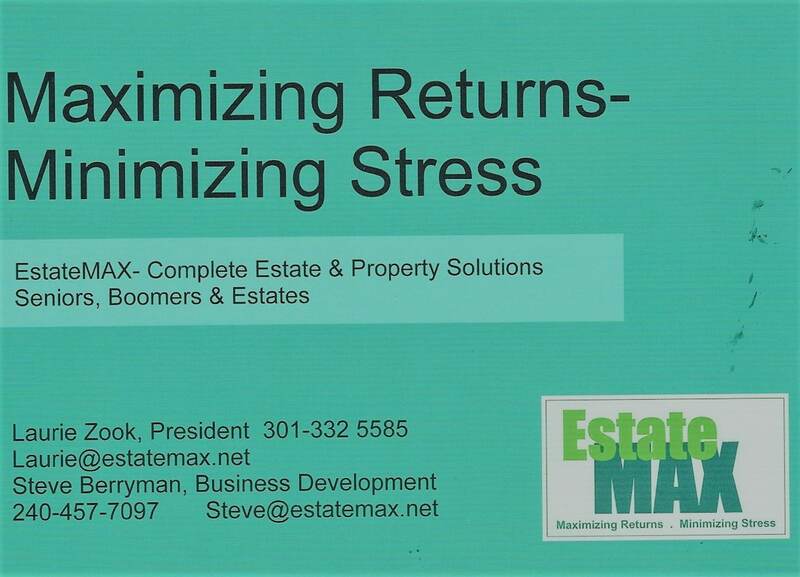 There is nothing new to EstateMAX about helping our clients move forward with ease. Move Management, Sorting, Packing, Unpacking on the other end. Complete sales services of the contents of your home you are leaving behind, clean up, trash outs and disbursal to charity. Since 1999. Experience and Credentials Count. Next Next post: For Real Estate Pros, We Make You Rock!